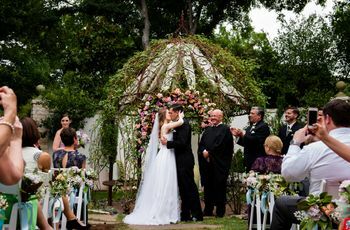 To get your creative juices flowing and your fingers typing, consider these tips on writing wedding vows from pros. 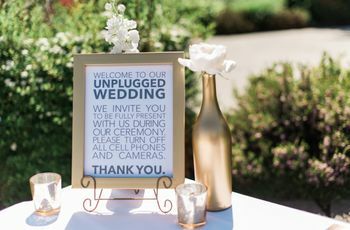 Once you’ve finally signed on the dotted line about your place settings, tasted the fish-or-steak selections, booked the honeymoon, and taken approximately one nap in the past four months, you might feel mighty accomplished in your wedding planning. Except one key, critical component that many couples delay until the very last second: writing wedding vows. 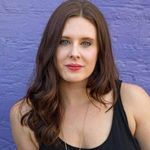 Though seemingly a no-brainer practice, putting into words how you feel about your partner and what you promise to them can ignite your anxiety, big time. And put a major speed-bump in your to-do list, as you battle through writer’s block. In short? It’s a lot of pressure. 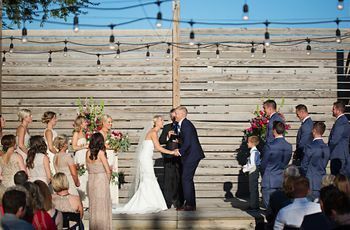 “A lot of couples fear writing wedding vows because they feel they cannot express their thoughts well enough or they may have to meet certain expectations. 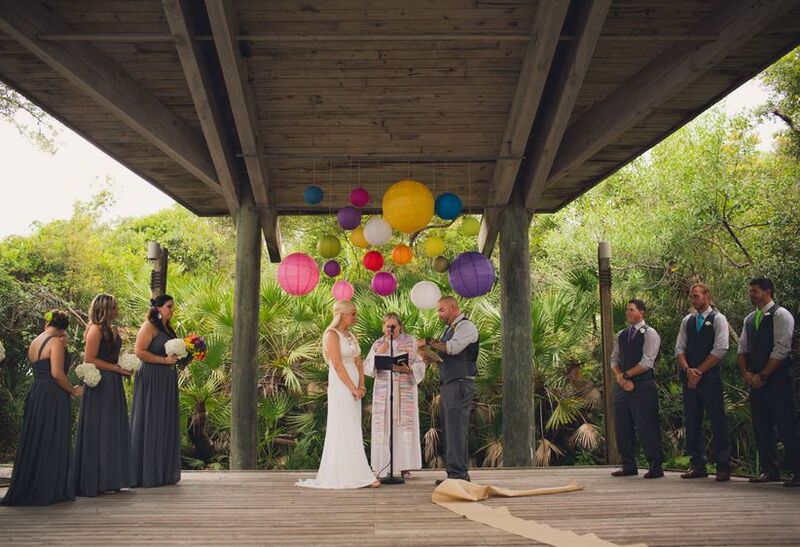 They wonder how long it should be or if their bride or groom will be happy with them,” explains officiant Kimberly Salt of Kimberlily Creek in North Tonawanda, New York. Remember you don’t have to say every little thing you feel. Finding the person you want to share your ups, downs, highs, lows, tummy aches, and job successes with for the rest of your life is a tall order. And all of those feelings that go into that relationship are undoubtedly beautiful and rare, but also overwhelming. Salt encourages couples to follow a simple rule by keeping their personal wedding vows short. “Sometimes couples have very long vows that are pages-long because they bring up so many moments and reminisce about their time together,” she shares. But instead of putting it all on paper to read in front of your guests, Salt says to consider having a condensed version you read out loud, a longer one you post on your wedding website, and if you want, another section that’s privately read during your honeymoon or after the wedding. Consider working as a team. Salt suggests having a discussion with your partner on whether or not you want your vows to be a secret—or a shared experience you work on together. One of the perks, she explains, of going in on writing wedding vows together is the conversations you’ll have and memories you’re reflect back on as you discuss. She adds that while wine helps, what also is comforting is sharing your writing-block frustration with another person who —most literally—is in the same boat as you are. You might even find you want to go in on the fun together, Salt says, with some couples even preparing poems, raps or song lyrics to surprise their guests. If you haven’t truly sat down to write something other than a report, email or text message since, say, college, the task of forming paragraphs is likely daunting. One sure-fire way to get inspired or get wedding vow help? Salt says the five-second task of Googling. 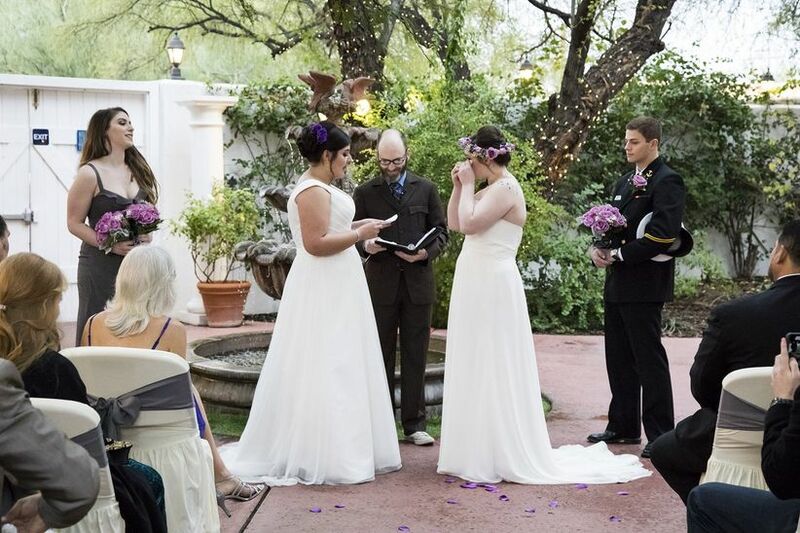 Take time to read through various vows that are posted online. From here, you can get a sense of style, structure and form that other couples have used. And hey, if you do a bit of copying and pasting, mixing and matching, no one will ever know. Think of it like a love poem. Justice of the Peace Jeanine Schirmer of JP Jeanine in Danbury, Connecticut says sometimes, couples get caught up in how much personal information they’re sharing with loved ones—and also strangers. 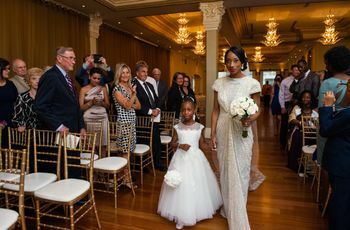 Since your parents might want to invite business partners, or your spouse-to-be has extended family flying in from overseas, the personal wedding vows you say out loud may be heard by unfamiliar ears. That’s okay though, Schirmer says. Instead of thinking about ‘vows’ she tells her couples to think about poems. These are less personal, since they’re rhythmic, and they don’t give away as much personal information as longer prose might.